Here are a few builds I completed recently. They all use the new graphics/decal method I am using from now on. 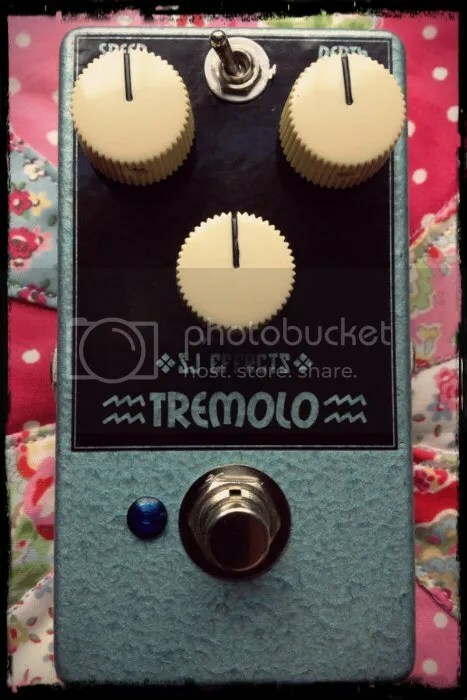 This is a Tremolo I built up based on the EA (Electronics Australia) Tremolo circuit. 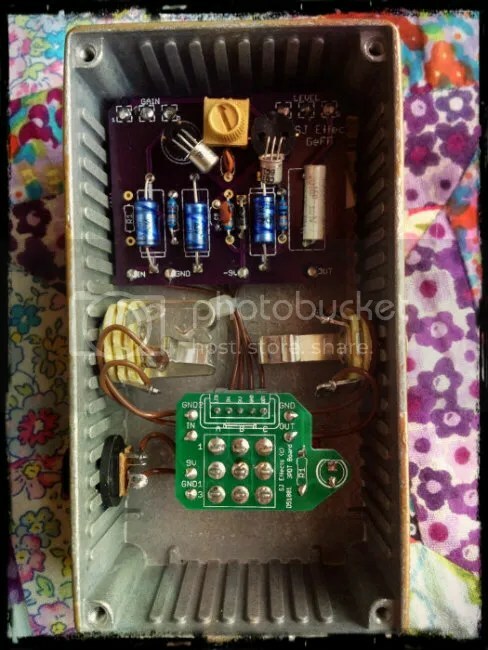 This circuit has been around since the 60’s, and is kind of a DIY classic. Its a really cool, old Fender amp like, tremolo. The modulation is nice and smooth. I guess there is a reason why this circuit is still so popular after all these years! 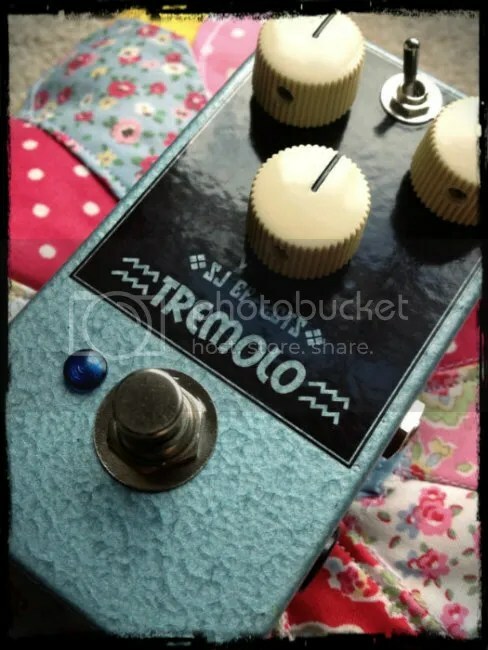 The toggle switch is for switching out the modulation to use the pedal as a clean boost/preamp. The preamp has a really nice, warm tone, so I thought it would be helpfull to have the ‘boost mode’ as an option. 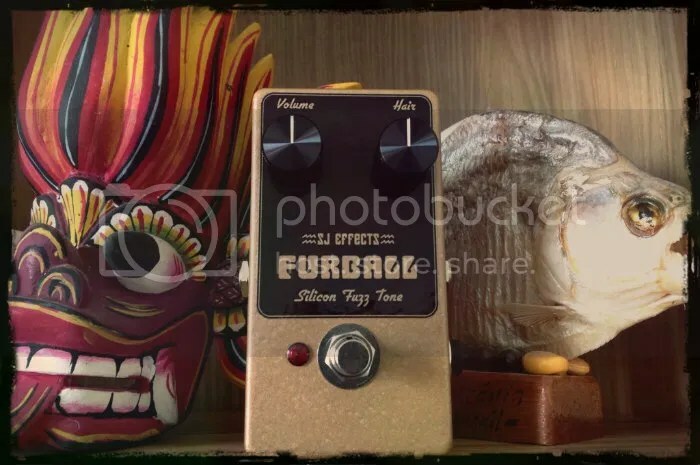 This is a Fuzz Face variant I built, based upon the Dunlop Eric Johnson Fuzz. 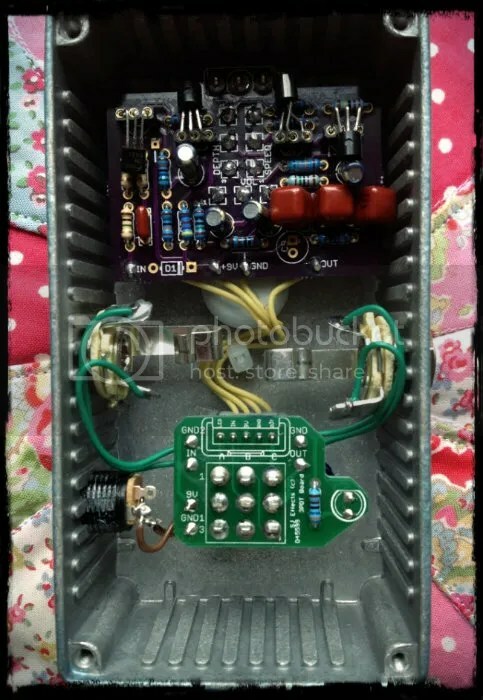 I used different transistors than the Dunlop version (the Dunlop uses BC183’s, mine uses BC108’s), but used similar components and biased it to give a similar tone to the Dunlop EJ Fuzz Face. The PCB layout I did uses Axial components for that vintage vibe and ‘mojo’ factor. 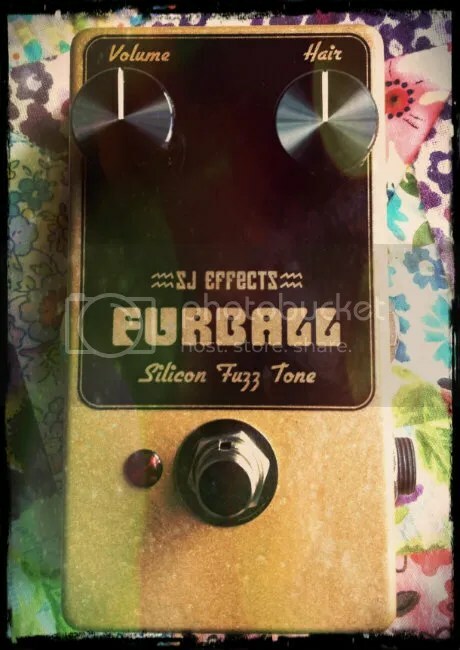 I have to say that Eric Johnson has definitley got an ear for what constitutes a nice Fuzz Face; kudos to him for tuning this circuit to his liking as its really cool! Due to the way the circuit is biased you get a nice chewy, hairy fuzz. Its usefull for a lot of things, not just playing Eric Johnson covers!